Reddit user Aurify recently shared this image of hikers waiting in line for ‘the shot’. 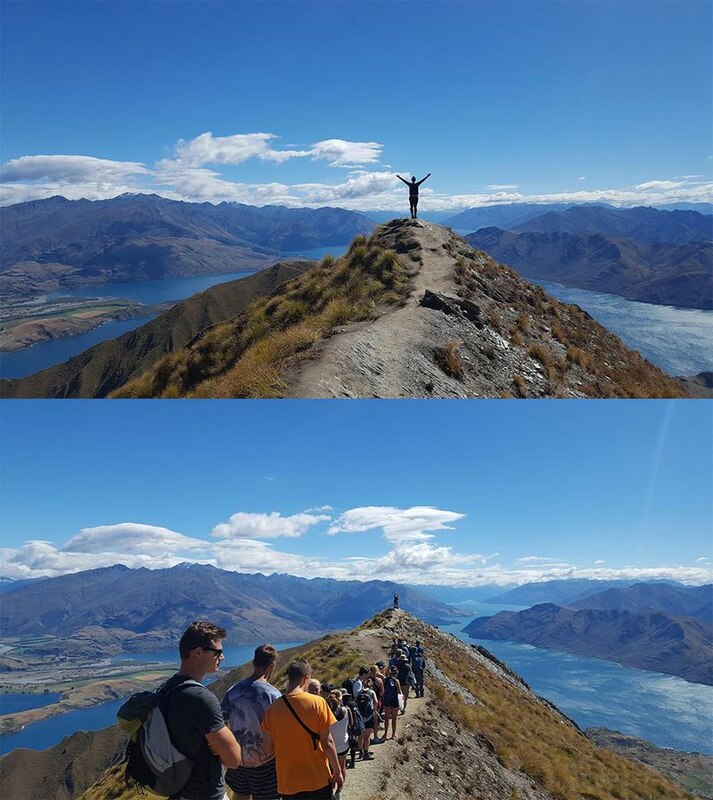 For those interested, this is the popular lookout point at Roy’s Peak in Wanaka, New Zealand. It’s about a 3-hour hike to the summit (however this precise spot is not at the very top) and photo ops aside, photography aside this is a very gorgeous place to look at the views.